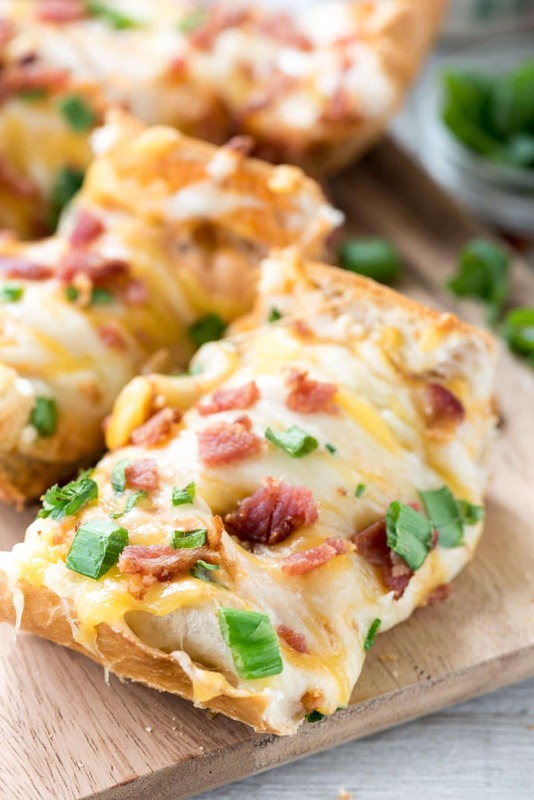 Easy Cheesy Chili Biscuit Bake – this easy weeknight dinner recipe has just 5 ingredients! 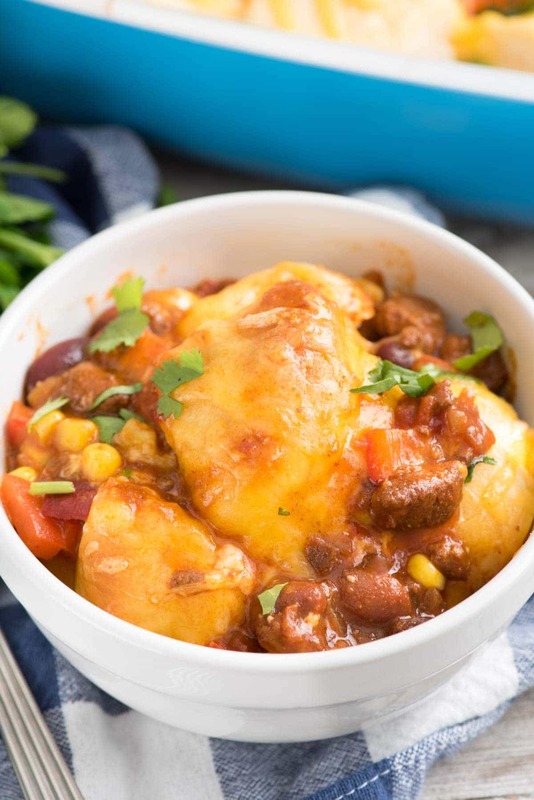 Chili is topped with vegetables, biscuits, and cheese then baked up for a delicious comfort food meal. Last week was spring break and it was super busy, between my trip to Charleston, a trip to see my family, working, and Easter. This week we are back to school and back to the cold dreary winter-like weather with cold temperatures and rain. This week we have all of our regular activities plus some appointments but I really want to cook dinner all week. I’m tired of stopping for last minute grocery-store meals or begging my husband to go pick up dinner. After a long day of cooking for the blog, I really don’t like thinking about dinner, which is why I need EASY recipes. I tend to over buy the canned bread products when they’re on sale. I always have biscuits on hand for quick dinners or to make monkey bread, pizza crust to make easy meals like pizza or meatball bites, and crescent rolls for a side dish or to make danish. For this recipe, I was making a pantry meal. I found two cans of chili hidden in the back, a bell pepper that was almost ready to throw out, and the can of biscuits was one day shy of expiration, so I wanted to use them ASAP. I’ve made bubble bakes before and always loved them, so I decided to make a chili bubble bake with biscuits and lots of cheese, plus some added vegetables. All this cheesy chili biscuit bake recipe uses are two cans of chili, some chopped peppers, frozen corn, and biscuit dough on top. And don’t forget the CHEESE! 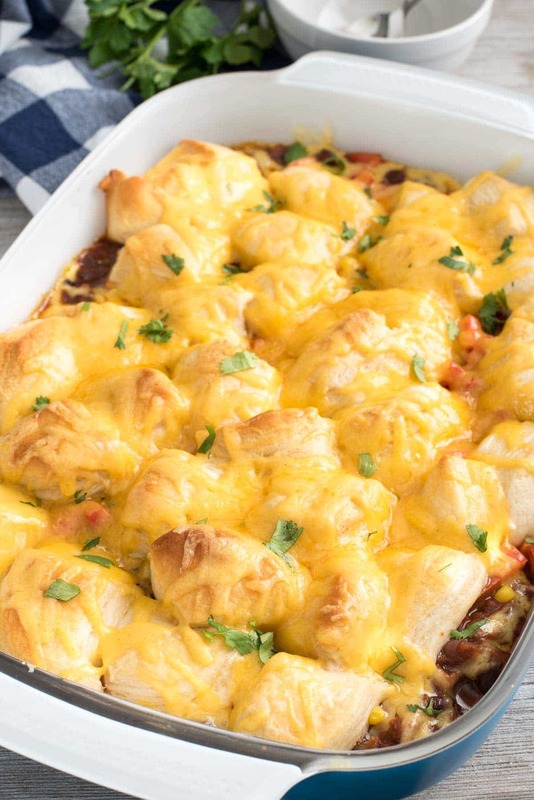 This cheesy chili biscuit bake recipe is PERFECT for a fast weeknight meal, especially when it’s cold and dreary out and you just want to get something on the table fast. And who doesn’t love chili, biscuits, and cheese?! 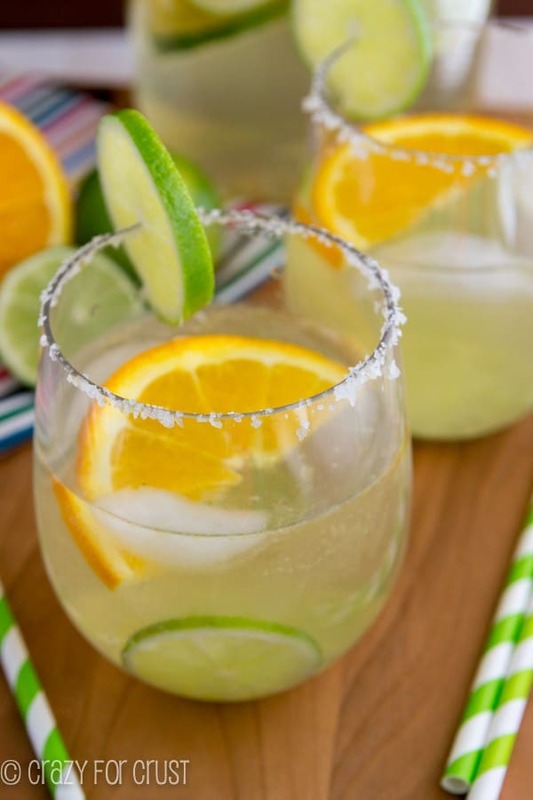 It’s great for game day parties, too! Make a chili theme and serve it with some chili cheese fries, some warm chili dip, and maybe a pot of sweet and spicy bratwurst chili. Easy Cheesy Chili Bake - this easy weeknight dinner recipe has just 5 ingredients! Chili is topped with vegetables, biscuits, and cheese and bakes up for a delicious meal. 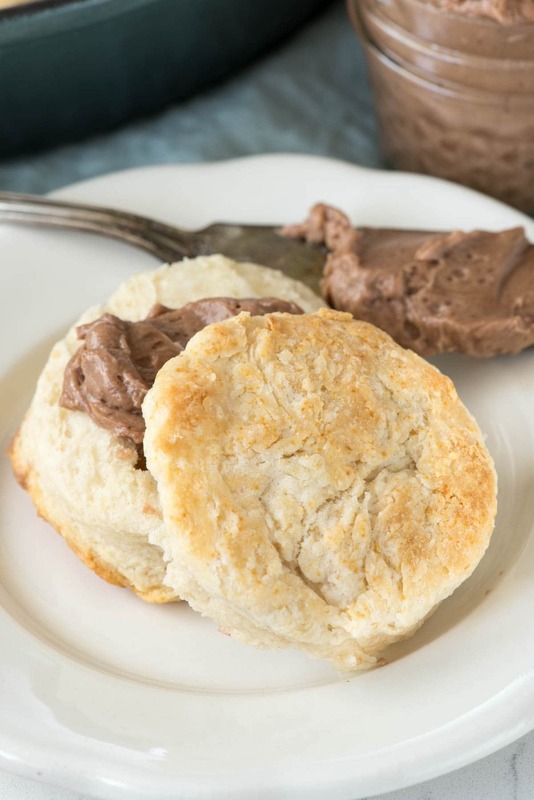 Slice each biscuit into 4 pieces (for a total of 32). Place chili in the bottom of a 9x13” baking dish. Sprinkle the corn and bell pepper over the top. Top with the biscuits in an even layer. Bake for 25 minutes, or until the biscuits are almost cooked through and browning on top. Sprinkle the cheese evenly over the top and then bake again until the cheese is melted and the biscuits are cooked through, about 5 more minutes. Wow, great idea. Sounds like something wonderful for a cold, wet night. YUM! This looks sooooo easy. And you are right, dinner is SO HARD after a day of blog baking! My husband comes home and I’m like what, you don’t want 50 cookies and a side dish? Who are you?